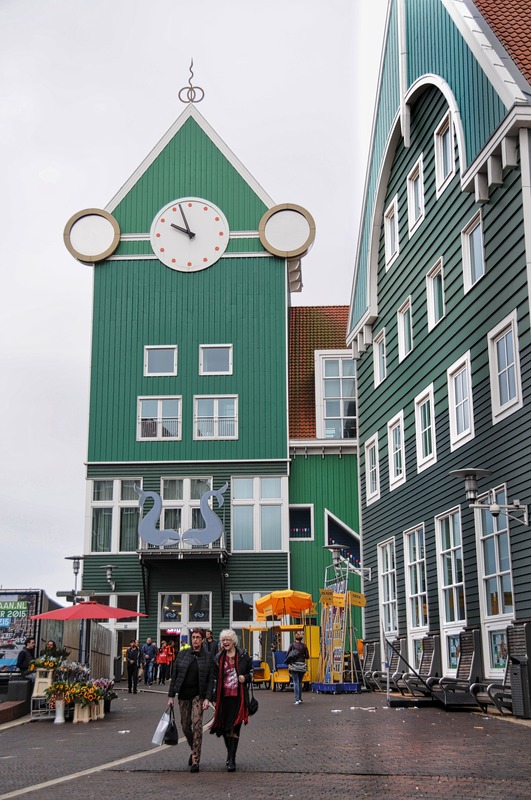 Zaandam is a city in the province of North Holland. Approximately 16 kms north of Amsterdam, it sits beside the Zaan River close to the North Sea Canal. It’s a quick 20 minute train ride from Amsterdam Centraal to Zaandam Centraal. 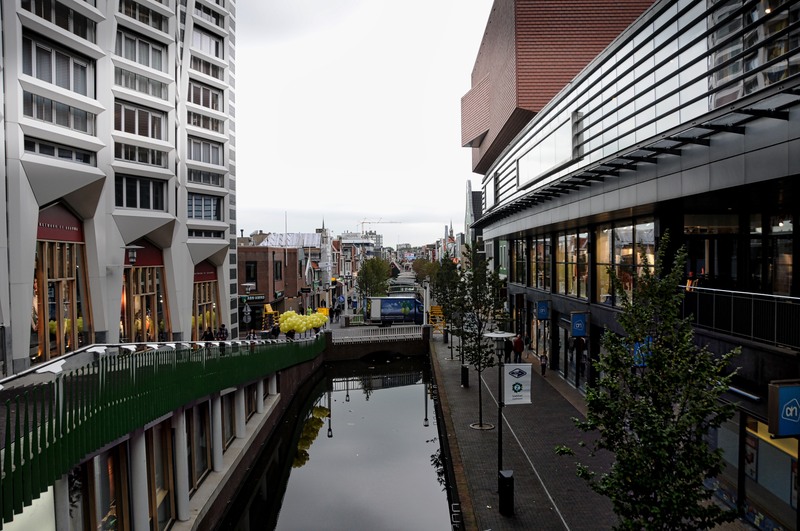 Right outside the doors of the eastern side of the station, there is a commercial area called Gedempte Gracht. 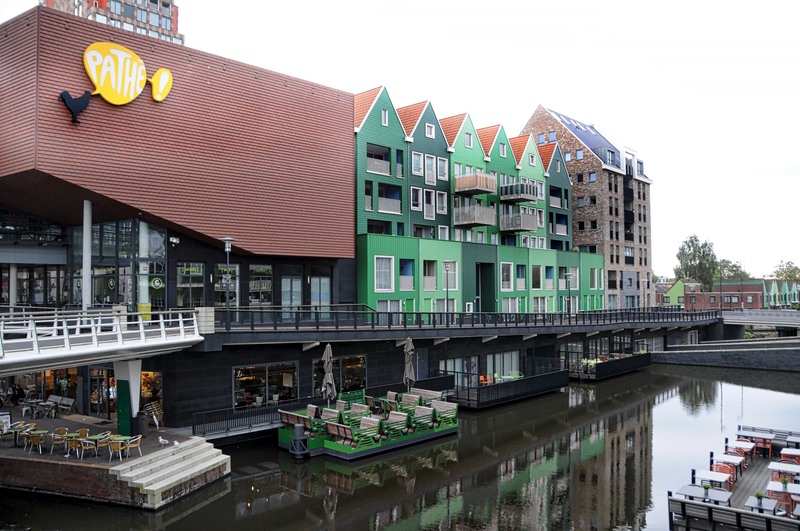 Full of shops and eateries, it resembles an outdoor shopping mall with a canal running down the middle. 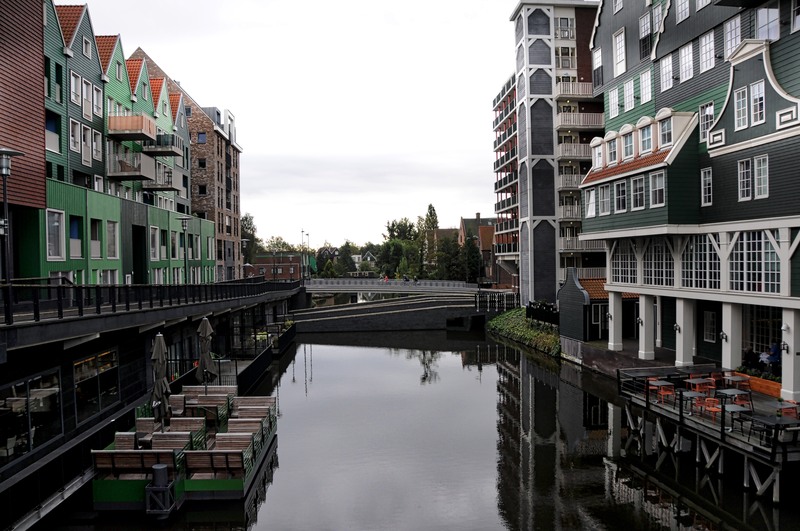 It ends at the Zaan river and Peperstraat begins. Because the finish line of the “Dam Tot Damloop Marathon” was on Peperstraat, we passed though this area. 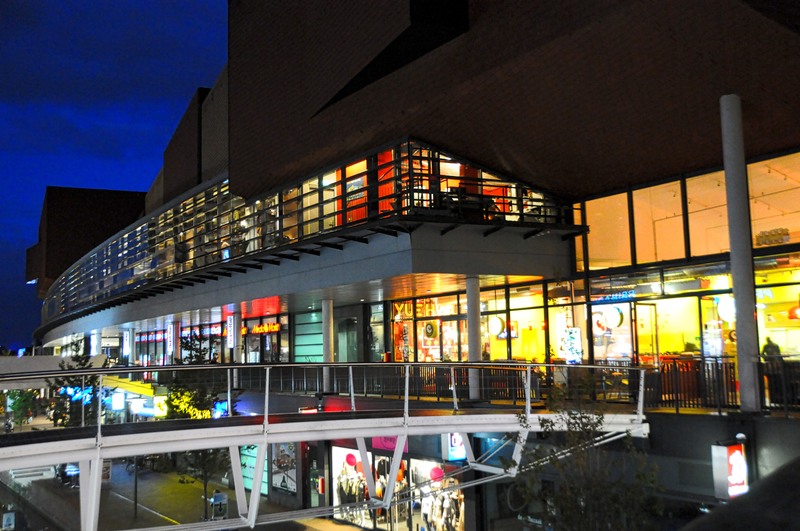 We arrive for the “Dam Loop By Night” and head towards the finish line on Peperstraat. 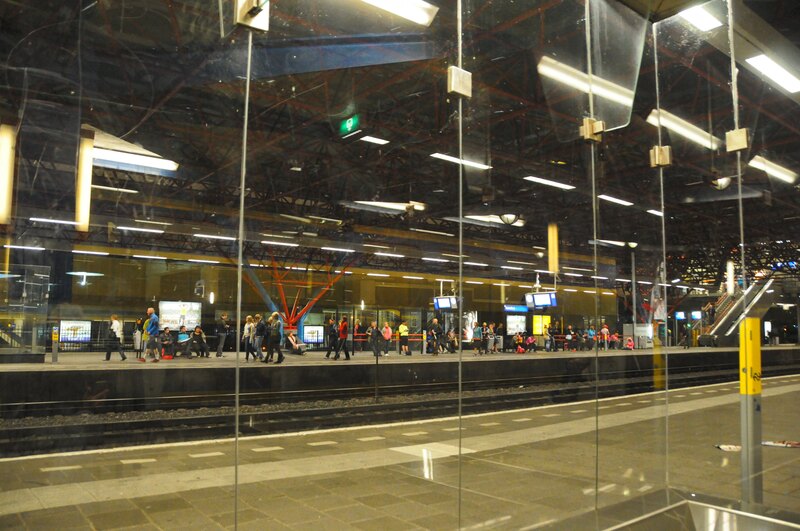 Inside the platforms of Zaandam Station, we wait for the train to take us back to Amsterdam. Next morning I returned to Zaandam to wait for Rod at the Finish Line. 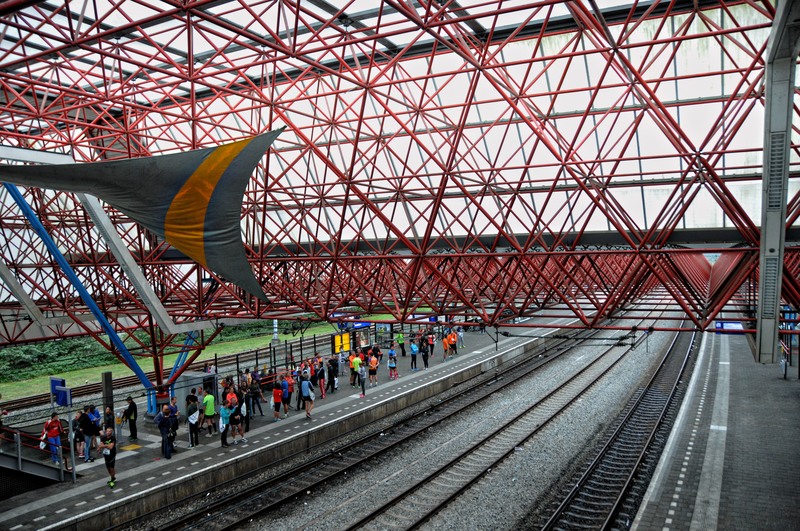 You can see participants of the “Dam Tot Damloop” catching the train to take them to the start line outside Amsterdam Centraal. Inntel Hotel beside the station. 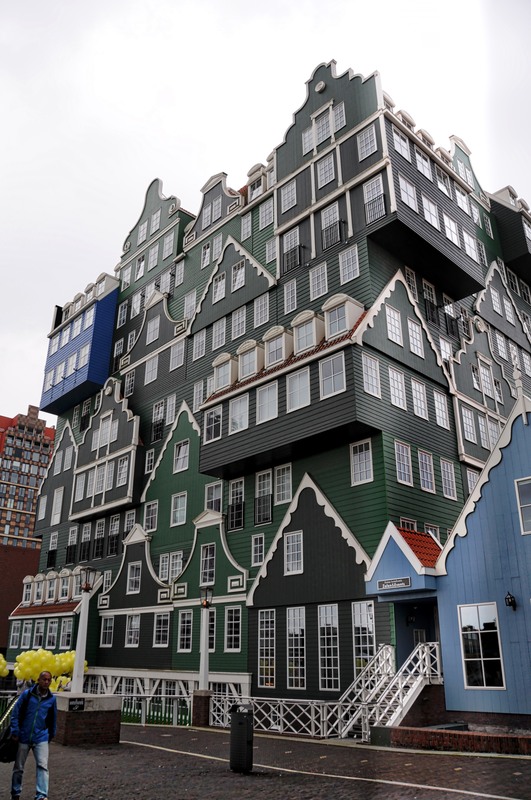 The outside facade of this hotel is designed to look like 70 stacked houses.